Succulents are the Climate Change plants, adaptable, functional, yet striking and colourful. Global changes to climatic conditions have seen more of these fascinating plants taking pride of place in our gardens. I have to admit, I was not huge fan some years ago, but as "new" species are available at most nurseries, we can be quite adventurous in collecting different species to form spectacular displays. I particularly love them in beautiful pots on balconies and roof gardens. So is there an art in growing succulents - in short, well yes but it is simple!! Remember they thrive in places with the harshest of conditions. Tough, you bet they are, which means they are dependable but slow growing. They look after themselves by storing water in their roots, stems, tubers and fleshy leaves. There are of course some basics to the successful growing of succulents. LOCATION - they thrive in full sun so they are great for roof tops and other exposed locations. They are very tolerant of drought, perfect for waterwise Australian gardens. 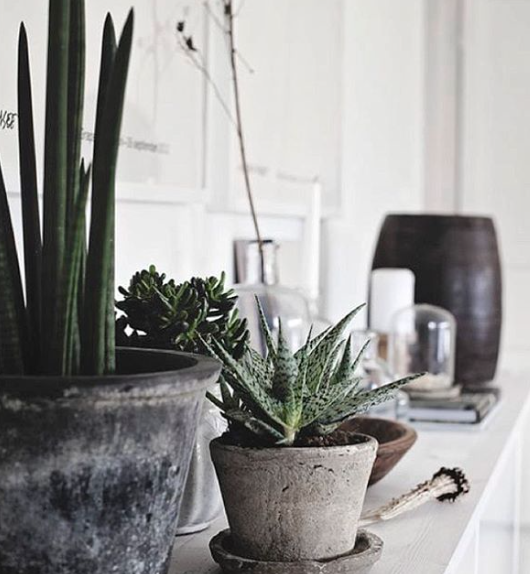 Whilst best outdoors in full sun, you can grow them indoors when there is plenty of light, but make sure you give them some regular time in the sun. When you do take them outside, allow them to acclimatise by gradually introducing them to the full sun over several days, ensuring they do not scorch on the first day. SOIL - Succulents love well draining soil, so adding some gritty sand to the soil will be beneficial. GROWING IN POTS - absolutely. A good potting mix is advisable, but make sure you insert drainage cells covered with geotec fabric to the bottom of the pot. You can buy a special purpose potting mix for cacti and succulents, and you could also add some gritty sand to the mix. Choose stone or terracotta pots that allow evaporation from the perimeter and avoid standing the pot in a saucer that collects water. 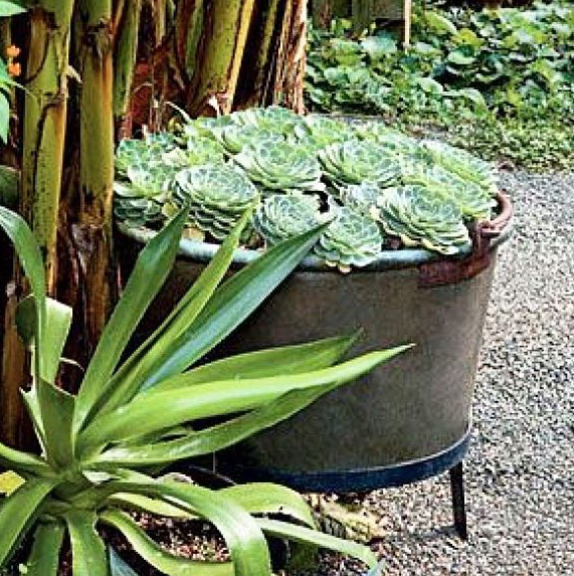 Succulents do not like wet feet, so effective drainage is essential. Repot when you see roots growing out fromthe base of the pot or they are becoming visible at the surface. NUTRIENTS - feed SPARINGLY with a slow release general fertiliser containing nitrogen and potash with trace elements like iron, magnesium, manganese, boron and copper. Regardless, most of their nutrients are drawn from rainwater and fresh air. PRUNING - I prune my succulents to keep them compact and in shape. I'm not a fan of leggy Crassula's or Aeonium's but they are stunning when tightly compacted. There is no right or wrong way to prune, but make sure your secateurs are clean. Prune the stem as far back as you need it to be, and new shoots will shortly emerge from the stem giving you a much bushier plant. 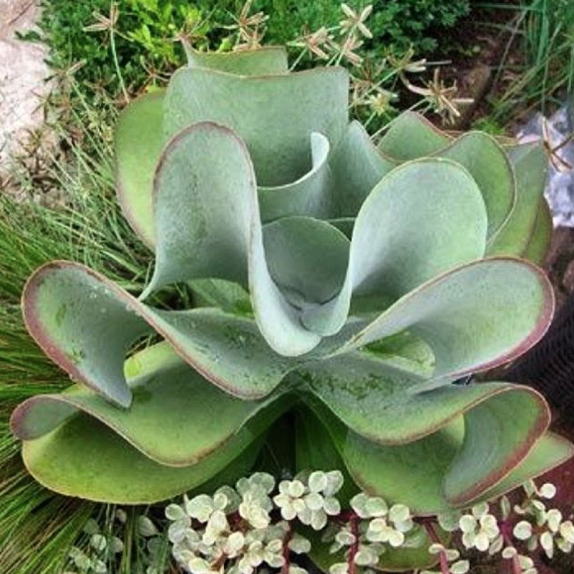 For rosette forming succulents such as Echeveria's, you can control the size of the overall plant by pruning off the newer outer rosettes in the same way you would prune off the stem of a Crassula. If you are pruning succulents with thorny stems or milky sap, such as the Euphorbia family of plants, be sure to wear some gloves. 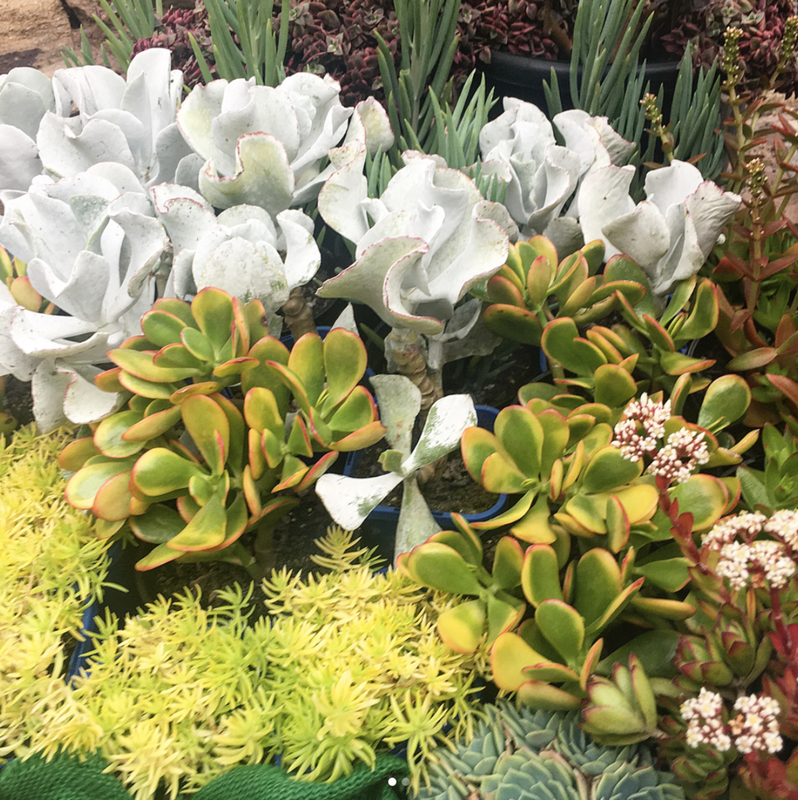 Most succulents can seal off damaged parts, but it is still advisable to remove dead or damaged flower stalks and leaves as quickly as possible. The great thing about succulents is that you can propagate any removed stems and rosettes, and even the smallest leaf, and add further to your collection. Contact Brian, he would love to tell you more.